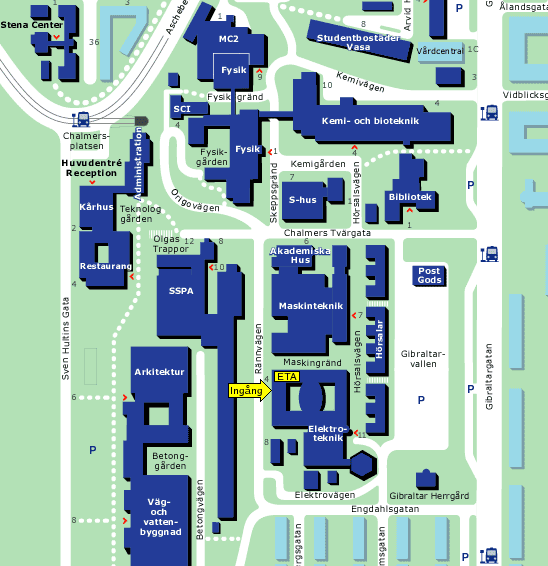 Our Lab is located in the Northwest corner of the EDIT-buildings roof. 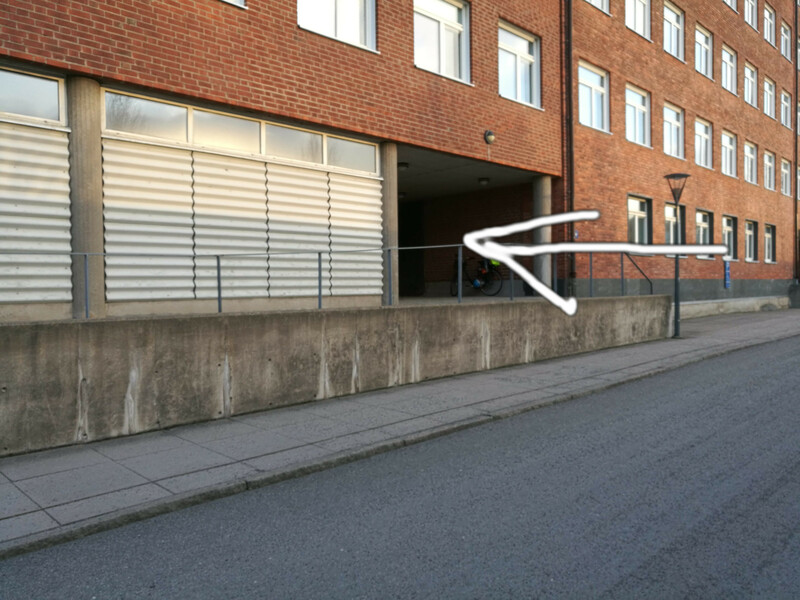 The entrance is located by Rännvägen according to the images to the left inside the underpass. When inside take the elevator to the 7th floor. The elevator requires no access weekdays 8-17 after that you need members access. If you dont have access or no keycard, you can call the lab at 031-207860.